The field of remote sensing has been going through a revolution over the last few years. Open-data policies helped to get numerous people from varying fields get involved with remote sensing data. More and more applications for remote sensing data also call for more and more solutions. Earth observation science has been developing for decades and there is a large number of research papers available. However, it is far from easy to put the knowledge from these papers into practice. And it is extremely rare that some solution can be applied in a generalized way. Here is where the contest comes in. We would like to help spread this know-how in a way that is directly and easily applicable. 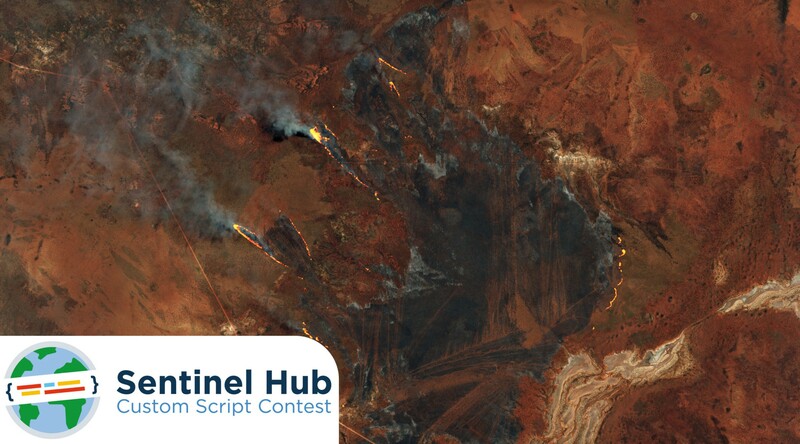 About one year ago we established a “Custom Script Repository”, which is an open-source GitHub repository with various algorithms, stored in the form of a “Custom script” — an easy to understand piece of code which can be instantly executed in the Sentinel Hub EO Browser. One can therefore write a script and see the results of it in near real-time. This makes for a very fluid experience when developing and testing algorithms. There are more than 200 algorithms stored in the Custom Scripts Repository already, some of them extremely novel and neat. However, we are sure there are a lot more interesting and useful scripts out there, and even more good ideas that are just waiting to be put into a custom script. 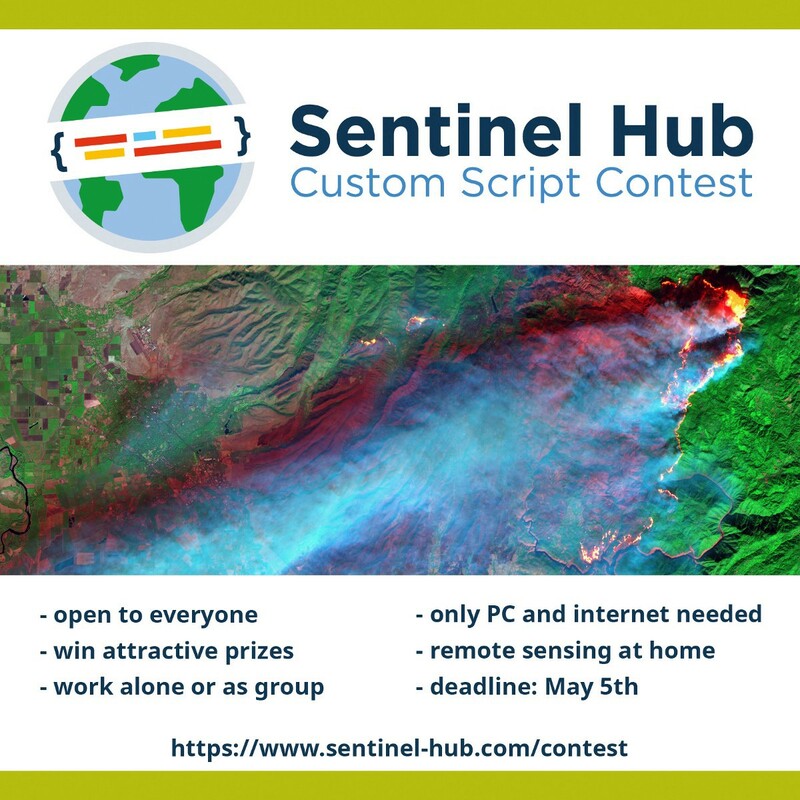 Because of this we started the Sentinel Hub Custom Script Contest. You have until May 5th, to develop and hand in a custom script which does something useful with the data. 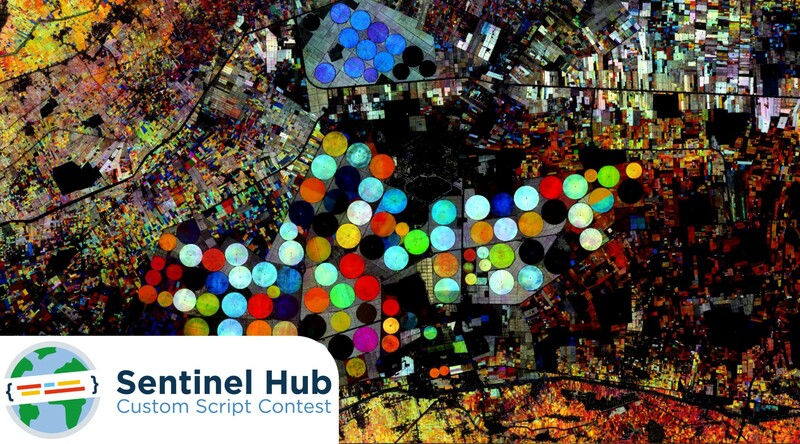 No matter whether you are an expert, a student, or just interested in remote sensing, take part and turn your idea into a script. You may even win a trip to the ESA Centre for Earth Observation near Rome, Italy! Writing scripts is easy, all you need is a good idea. We linked some resources on the contest website that will help you in learning how to write a script and get started, and you can always look through the scripts in the Custom Script Repository to see what other people did. In fact, we believe that writing a script is so easy, the contest could even be a nice project for high school science classes to take part in. Wildfire visualization script by Pierre Markuse. More info also here. Agricultural growth stage script by Harel Dan, making use of the multi-temporal abilities of the Sentinel Playground. As you can see no matter what your interests are or what kind of idea you have, your script would fit in one of these categories, so get started now and take part! You have until May 5th to hand in scripts, and you can do so alone or as a group. Learn more about the contest and the rules here on the contest website. Be creative and good luck!